This presentation refutes high school and college textbook arguments dealing with the origin of the first living cell, mutations and natural selection, alleged observations of true Darwinian evolution in action, and the complete failure of Darwinian mechanisms to explain the origin of information systems in living creatures. Dr. Thomas Kindell was once an ardent believer in the “fact” of evolution. However, through his exposure to the scientific case for creation, he became a zealous creationist. 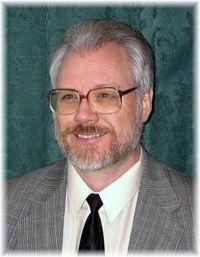 He has received advanced training in scientific creationism through the Graduate School of the Institute for Creation Research in Santee, California. He has been privileged to study under several of the world's most prominent creationist scientists. He also has studied Christian Apologetics and Biblical-Scientific Creationism at California Graduate School of Theology where he received his M.A. in Biblical Studies. He holds a Doctorate in Philosophy of Theology (major in philosophy of Biblical apologetics.) Dr. Kindell is the founder and president of Reasons for Faith Ministries.